During the consultation process, catering clients often ask us for assistance in determining what alcoholic beverages to serve, estimates of quantities needed and how best to set up bar service. Some clients are adamant about serving white wine and clear liquors only so that the risk of damage and staining from spills is minimized. However, before deciding which beverages to serve, we advise all clients to consider the nature of the occasion and its timing, the general profile of the guest list and their drinking habits if the event is a social one; and the physical space in which the event is taking place. A recent trend, particularly for cocktail receptions, has been to offer a “specialty” cocktail along with traditional wine, beer and soft drink options. The advantage of this is many fold and one that we highly endorse and encourage. This is a way to simplify the process of stocking the bar, to control costs and still maintain a generous, gracious and stylish ambiance. For us, a most important aspect of the featured drink is the way it can launch a party as it is offered to guests upon arrival. We find the having the drink pre-poured or available in pitchers on the bar helps to ease those initial, sometimes awkward social moments when guests are filtering in and have not had the chance to mingle and zgreet one another. 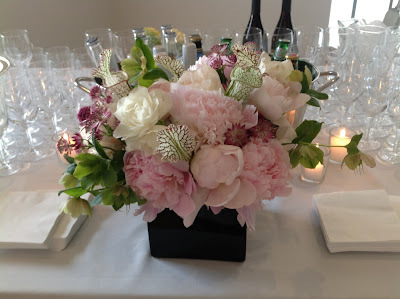 When deciding the drink to serve, our advice is to consider the season, theme of the party, if any, and a choice that will appeal to a variety of tastes. 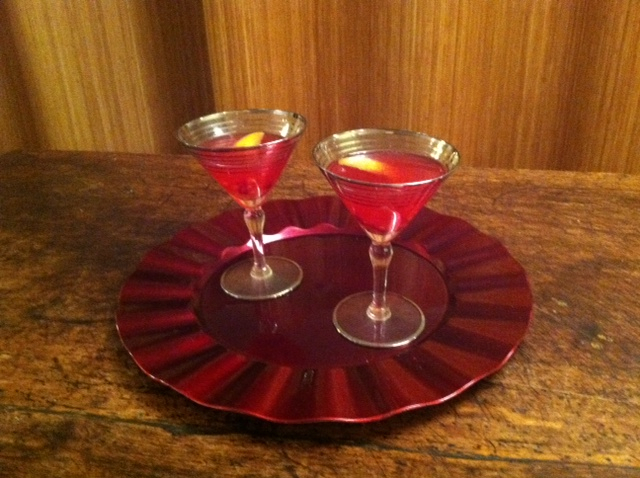 At a recent party we served a pomegranate Cosmopolitan, a slight “twist” on the classic cranberry juice version. Fill a cocktail shaker with ice and add approximately 3.5 oz. per drink. Shake well and strain into a martini glass.